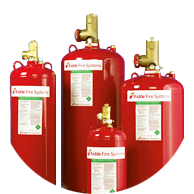 Fire Suppression Systems | Fire Alarm System | Kidde Fenwal, Notifier, Chemetron, Stat-X | Control Fire Systems Ltd.
Control Fire System came on time for our scheduled quote on refilling our clean agent cylinder. 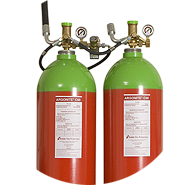 They did a fast and efficient job and also provided cylinder hydrostatic testing and emergency cylinder recharges in case of any emergencies in the future. This is something like the fifth or sixth time we've used them and it's always gone well. We'll look forward to having CFS come back in future. 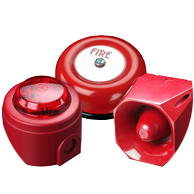 We purchased a fire alarm from you guys, for some out buildings where we run repair work. 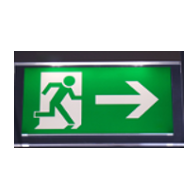 Recently, we had a small fire and the fire alarm detected it immediately and alerted my staff. Great to see a product working as it's supposed to. Over the years, I have called them to do site inspections and go through what needs to be done and fixed. 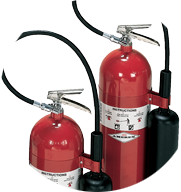 They are really good at installation and maintenance of fire systems and everything is running smoothly. One of our motels failed a fire alarm test in the fall. 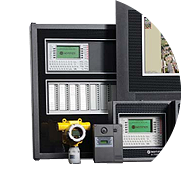 The technician from Control Fire System was very professional and experienced. He went through the guidelines and procedures and suggested replacement of most of the alarms and maintenance for the sprinklers. The work went off fairly quickly and we felt much more confident once the work was completed. We're pleased we trusted the solid reviews of this company and will be using them for the remainder of our properties. Kidde provides excellent systems. We recommend it highly. Call these guys to have them give you details. Their knowledge is first rate. They replaced a fire control panel for us this summer and I just wanted to pass on a compliment on how quickly I got a response and had the techs come out. We did the usual three quotes and Control Fire was easily the most responsive. It was very reassuring and the integration went seamlessly. We’ll be updating the rest of the systems in steps and now know who to call. 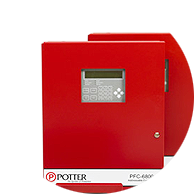 I manage maintenance at a nearly 10,000 sqf facility in the east end and Control Fire Systems is contracted to check out our systems twice annually. They’ve done some fan air testing as well as the fire systems and everything has been in order since I started here. I recommend to any plant manager getting into a regular contract situation with a reputable company like this one. It’s great piece of mind. Whenever one of our larger commercial units changes hands, expands, renovates, etc. I call in Control Fire Systems. They assess and do upgrades and repairs where necessary which actually adds to the bottom line if a sale is involved. One of the great tricks of property management is being sure you’re not getting gouged by contractors downstream and having these guys onboard has been a great relief in that regard. It’s a partnership I plan to continue to take advantage of. 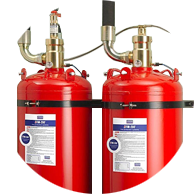 Our office building purchased Control Fire Services portable extinguishers a few years ago. 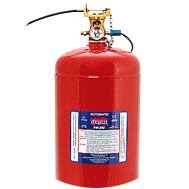 We had them do a fire extinguisher inspection, refill (we have actually needed that! ), repair and recharge. Impressed with the 6-year fire extinguisher maintenance if anything goes wrong. A good choice for commercial operations. I used control fire for a suppression system install last year. The guys know their stuff. Since then, they have maintained that system. Very professional team. After a false alarm in our building, we decided to upgrade our system to a Fireflex. What a difference this system made right away. Thanks Control Fire.